New listingSpektrum DX6i front case , shell . Inserts adjustable to suit your Transmitter. 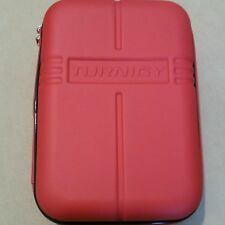 Superb way to keep your Transmitter safe & sound. Transmitter Case Perfect For Spektrum DX6i DX5E DX8. 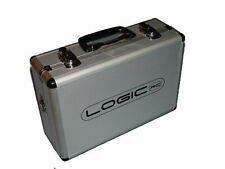 High Quality Transmitter case perfect for the Spektrum DX6i, DX5e, DX8 Transmitters from Logic RC. Ideal for Most RC transmitters including the Spektrum Range! Superb way to keep your Transmitter & FPV Goggles safe & sound. RC Transmitter Case Futaba Spektrum Etc. Foam Insert to cut to your desired Size. L 34cm/ W 24cm/ D 12cm. Spektrum DX3R transmitter case / shell. Excellent condition. RC radio spares. Outer casing for Spektrum DX3R transmitter race radio. Ideal if you have broken the casing. Very early casing, but in excellent condition. Spektrum DX3S transmitter outer case / casing. Excellent condition. Outer casing from a Spektrum DX3S transmitter. Excellent condition. With trim board and buttons. Spektrum DX4R Pro transmitter case / shell. Good used condition. Radio spares. Outer casing for Spektrum DX4R Pro transmitter race radio. Spektrum DX6i front case / shell. New and unused. RC radio spares. Outer front casing for Spektrum DX6i transmitter radio. Still has he protective film on the screen cover and switch panels. New rear case for Mode 2 Spektrum DX6i radio. Excellent condition, simply plug in and use. Mode 1 also available. Spektrum DX6i front case / shell. good condition. RC radio spares. Outer front casing for Spektrum DX6i transmitter radio. This has the DSMX detailing on the screen cover, but is compatible with the older DSM2 radio also. Spektrum DX9 Transmitter front case. Very good condition. Spektrum spares. Outer front casing for Spektrum DX9 transmitter radio. Couple of small marks, but generally it is in excellent order. Spektrum DX6i transmitter case back with battery terminals. Very good condition. Lightweight aluminum transmitter case for Taranis, Futaba, Spektrum, Tamco and more. Aluminium Radio Transmitter Case. 1x Aluminium Radio Transmitter Case. Made of high quality materials, this beautifully crafted case is designed specifically for carrying your transmitter outdoors. 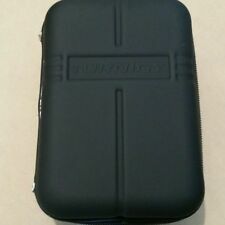 JR XP9303 transmitter case set. Very good condition. JR Spektrum spares. Ideal if you have a broken casing. Outer front casing for Spektrum DX6i transmitter radio. This is from a Mode 2 DSMX radio. Very good condition, a couple of tiny marks I have tried to show in the pictures, but nothing major. Spektrum AR8000 8 channel main receiver plastic case. Outer casing from a Spektrum AR8000 main receiver. See pictures. Good case for the Spektrum SR410 receiver. Very good condition. Spektrum DX6 Gen2 case set. Very good condition. Spektrum spares. SPMR6750EU. Outer casing for Spektrum DX6 Gen2 transmitter radio. There are a couple of tiny light marks on it but generally it is in excellent order. The screen cover is perfect and the case still has the protective film on the top switch panels. Spektrum DX6 Gen2 case set. Very good condition. Spektrum spares. SPMR6700EU. Outer casing for Spektrum DX6 Gen2 transmitter radio. There are a couple of tiny light marks on it and a slight shallow dent in one of the upper switch panels, but generally it is in very good order. Spektrum DX18 Silver front case / shell. Good used condition. RC radio spares. Outer front casing for Spektrum DX18 transmitter radio. There are a couple of tiny light marks on it as I have tried to show in the pictures, but generally it is in excellent order. Good case for the Spektrum AR400 receiver. Excellent condition. Good case for the Spektrum SR3100 receiver. Excellent condition. Top case half for a Spektrum AR9000 receiver. Excellent unused condition.